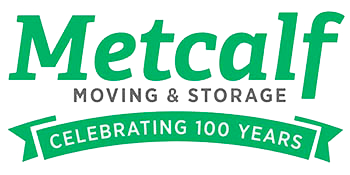 Serving Eden Prairie, MN household movers for nearly 100 years, Metcalf Moving has earned the trust of local residents. Starting as a local moving company in 1919, Metcalf Moving has grown to be the best source for Eden Prairie movers and the surrounding towns. Whether moving across town or an interstate move, Eden Prairie household movers rely on Metcalf for all their relocation needs. Full-service moves provided by Metcalf Moving will take care of everything from packing and loading at your old home to unloading and unpacking at your new home. Our professional movers will take care of your move from start to finish. Your Metcalf move coordinator will arrange professional packing, truck loading, and transportation to your new home. At your new home, our professional movers will unload the moving truck and place your items where you direct them. Full-Service moving service is the least stressful way to move. Metcalf provides flexible moving services that are ideal for household movers who want to be hands-on. If you prefer to pack your boxes and place the furniture in your new home, our movers will handle the heavy lifting, loading, and unloading of the moving truck. Contact Metcalf Moving to customize the services that meet your relocation needs. Metcalf Moving & Storage provides storage for Eden Prairie household movers for long-term and short-term storage. When your new home is not ready for a move-in, Metcalf can provide the storage for your household items. Take a look at our storage options in our secure climate controlled facilities. Metcalf Moving is the Eden Prairie, MN long distance movers best option. As a Mayflower Transit agent, we work with our Mayflower family of agents to ensure that your long distance move experience is as smooth and stress-free as possible. Learn more about Metcalf Moving long distance moving services. 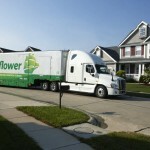 International movers from Eden Prairie, MN rely on Metcalf Global Relocation. We move your household items, and we are experts in the documentation requirements of your destination country. 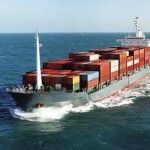 Metcalf Moving’s Global Relocation Experts have the experience to manage your international move from start to finish. Learn More.